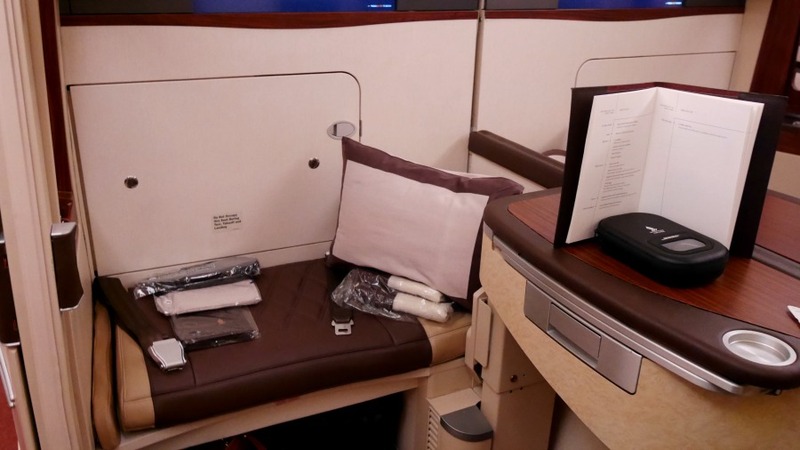 Flying Singapore Airline's First Class Suites - Sydney to NYC. 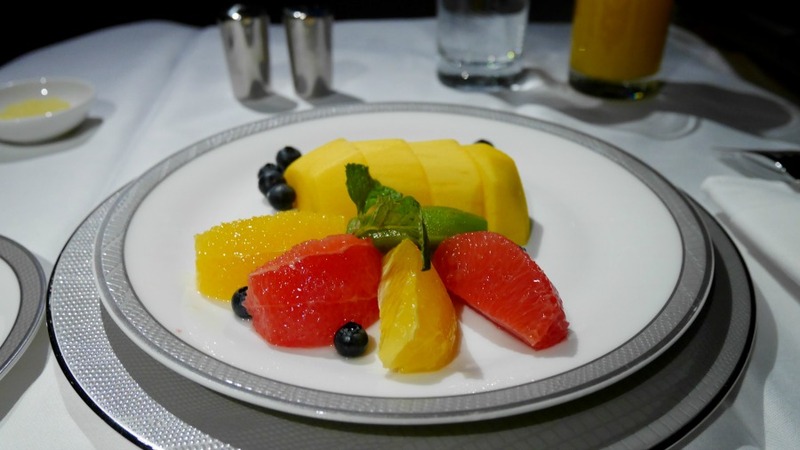 Two weeks ago I had a once in a lifetime flight experience, and flew from Sydney to New York City in Singapore Airline's First Class Suites (and yes, I did score that famous double bed - keep scrolling down for photos!). I'd had the flight booked for almost a year as you have to book so early to get award availability for such a long flight (it was over 28 hours total flying time), so you may have seen me getting VERY excited about it over the course of the past year. A lot of people on Twitter requested a full review of the experience, so here we go! Before I get in to the actual review of the flight and experience, I just want to caveat by saying this flight cost me 120,000 of my Singapore air-miles and $700AUD in taxes. Due to the new rules it now costs about 180,000 air-miles and zero taxes. I knew I wanted to get the biggest ROI (return on investment) on my air-miles, so had been saving them up for a couple of years rather than just spending them on a normal economy or business class flight. Originally I was going to fly from Sydney to London to be home for Christmas, but then I saw that to fly to New York was only about 5,000 miles extra, and would get me an extra 7 hours or so in Suites. As I'd always wanted to visit NYC in December to see the Christmas lights and decorations, I decided to just go for it, tick it off my bucket list, and then book a one-way flight from New York to London after (this cost me £290 with Icelandair). This meant I had a total of 28 hours bum-in-seat in Singapore Airline's Suites Class, with the Sydney to Singapore flight taking 7 hours, Singapore to Frankfurt taking 13, and Frankfurt to JFK taking 8. 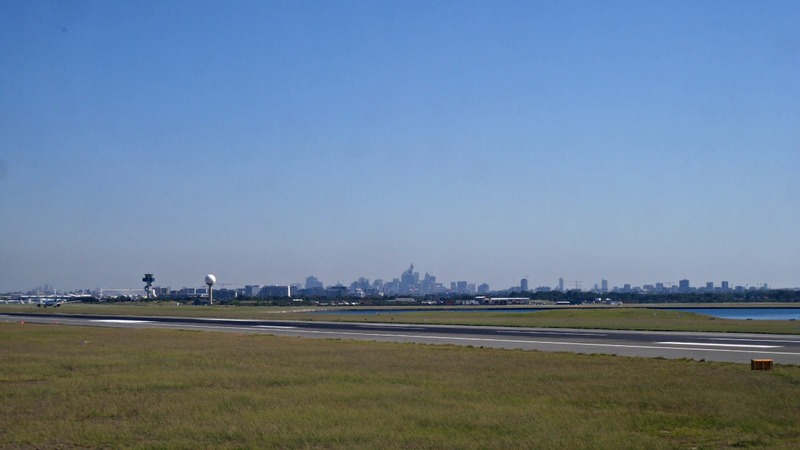 I also had 9 hours in Singapore, so in total I had over 40 hours or so travelling time between Sydney and New York. 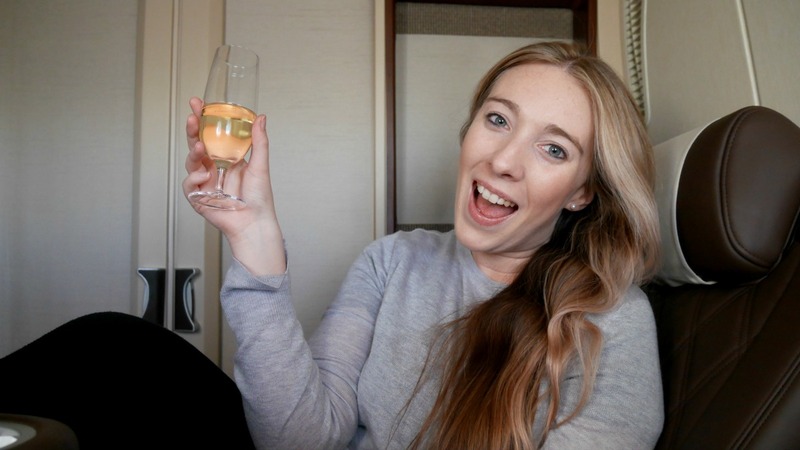 Don't get me wrong, this is a *long* time to be travelling, but in my mind it was totally worth it as the Suites experience was so incredible - it made the whole journey such an adventure! I began my journey around 6am on Wednesday 13th December 2017. 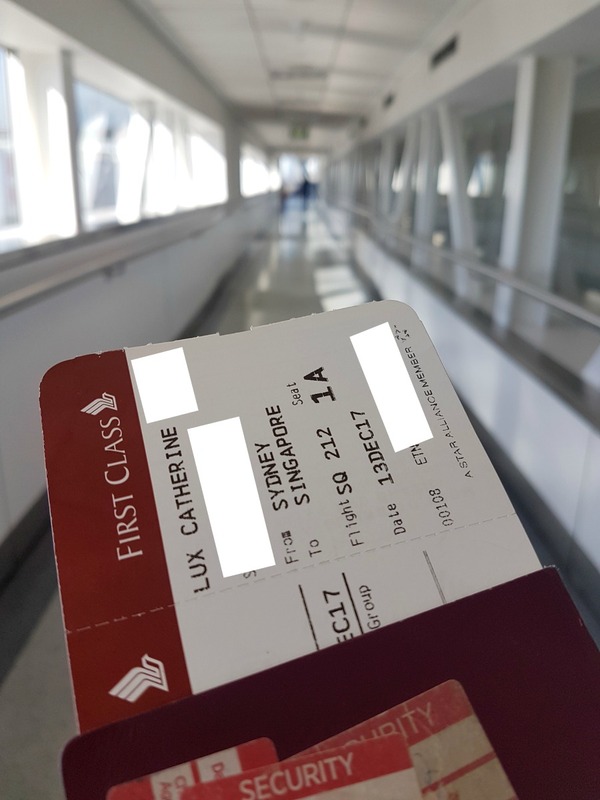 I headed to Sydney airport from my home in Paddington, and after being dropped off by the Uber I wandered down to Singapore Airline's check-in desks at the far end of the International terminal. I had two large cases to check in, and two smaller hand-luggage bags. The guy in-front of me in the First Class queue was taking ages, so I actually checked in at the Business Class check-in desk. At first there was an issue with my USA ESTA - this happens every time I fly a Star Alliance airline (it's happened with Lufthansa and United as well), as they can *never* find any trace of my ESTA on their system. However when I fly Virgin Atlantic it's totally fine! Luckily after the last time this happened I now carry a hard copy of it, so when they saw that all was fine. 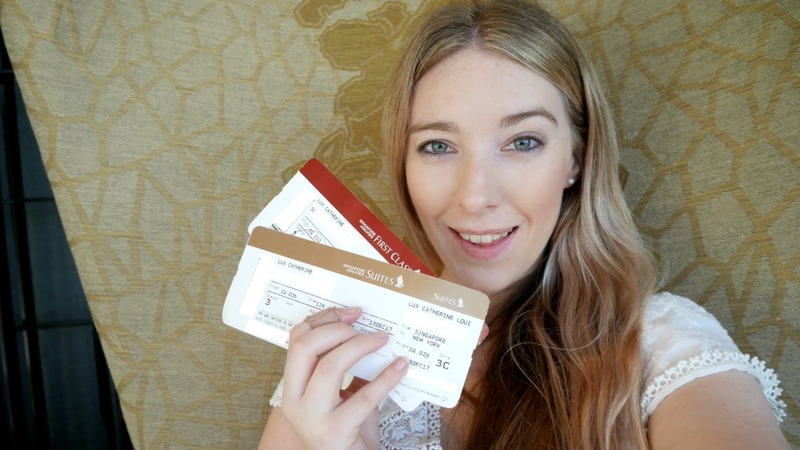 Before I knew it my luggage was gone and I had the red First Class boarding card, and the coveted gold Suites Class boarding card in my hand! 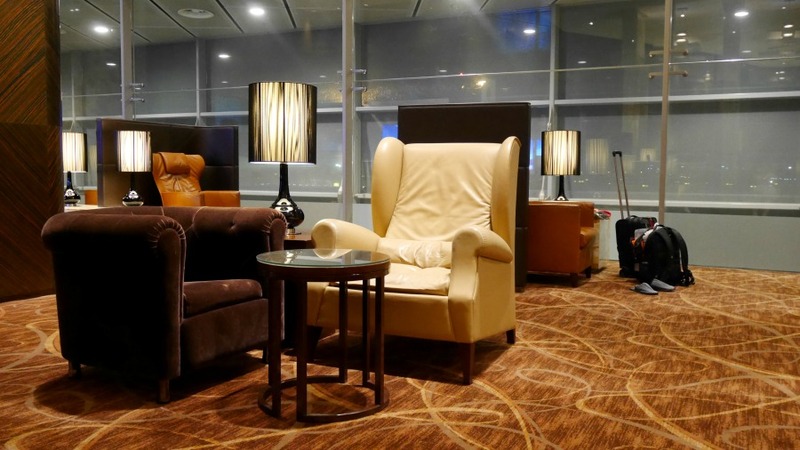 I made my way through security and to the Singapore Airline's Krisflyer lounge in Sydney airport. 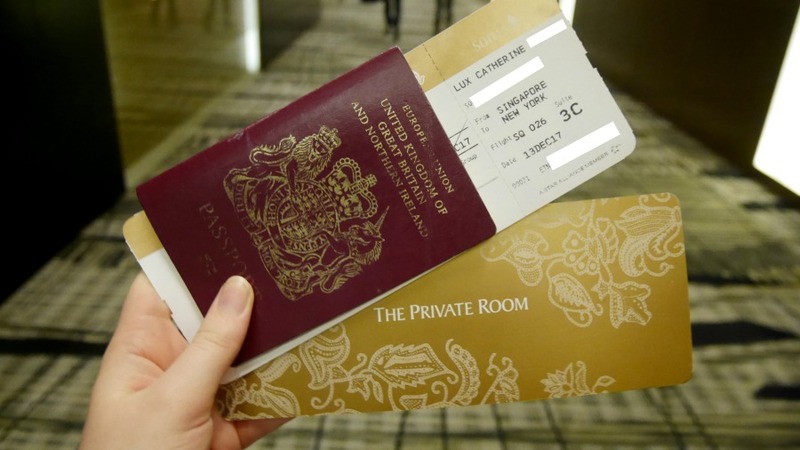 The lady at the lounge desk gave me my invitation to The Private Room in Singapore's Changi airport, and when I went to walk through to the normal Business Class lounge she stopped me and said "Oh no, wrong way! You need to go through this secret door..." - suddenly a glass wall slid back to reveal an entrance to a secret lounge. I was already impressed and I hadn't even got on the flight yet haha. The lounge was almost empty apart from two members of staff, and so I chose a seat at the back of the lounge which reasonably private and overlooked the runway. I settled my things down and went to take a look at the food and drink options. It didn't look too different from the business class lounge, and there didn't seem to be any additional food/beverage options from what I could remember. The staff couldn't do enough for me, going so far as to take my Baileys away from me and carry it over to my seat for me. It was appreciated, but I'd rather do that sort of stuff for myself, it just feels a bit weird making someone else carry a glass of Baileys when I have two spare hands that are perfectly capable. What I did need though, was someone to put a napkin on my lap. The lovely gentleman did offer, but I said I'd be fine. Oh how wrong was I! 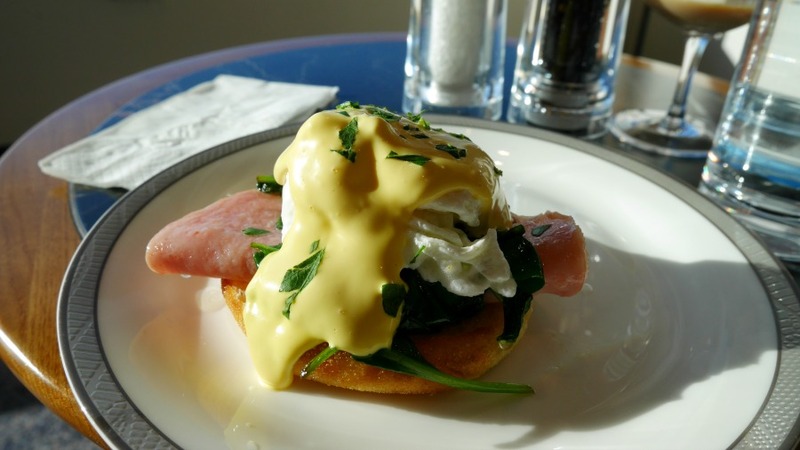 I was wearing a white dress and accidentally got some hollandaise sauce on it from my freshly made Eggs Benedict (I'm a messy one), so on the napkin went. Oops. By the time I left the lounge was actually fairly busy, despite the Singapore Airline's flight I was on only having four First Class seats. I'm guessing the lounge is open to other Star Alliance airlines' First Class passengers? I was the first to board the flight, which made me VERY excited! This was my very first time travelling in First Class, having only ever flown in Economy, Premium Economy, and Business before. 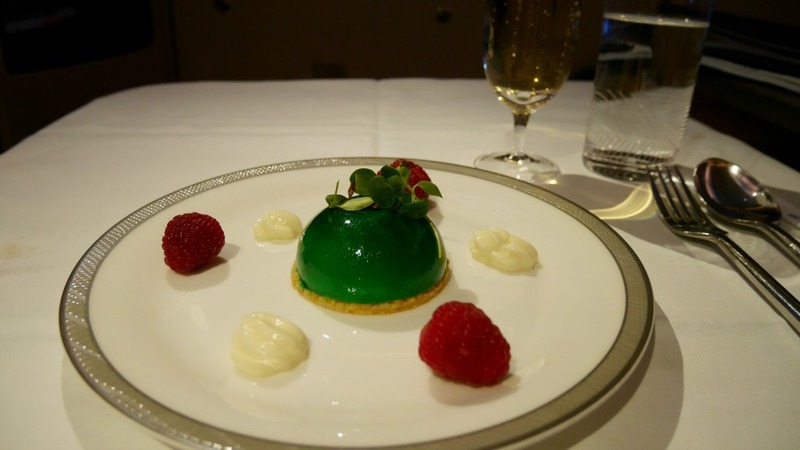 Granted I have flown a few times in Emirates Business Class, which is far better than a lot of other airlines' First Class product, but still, it was a VERY exciting experience for me! 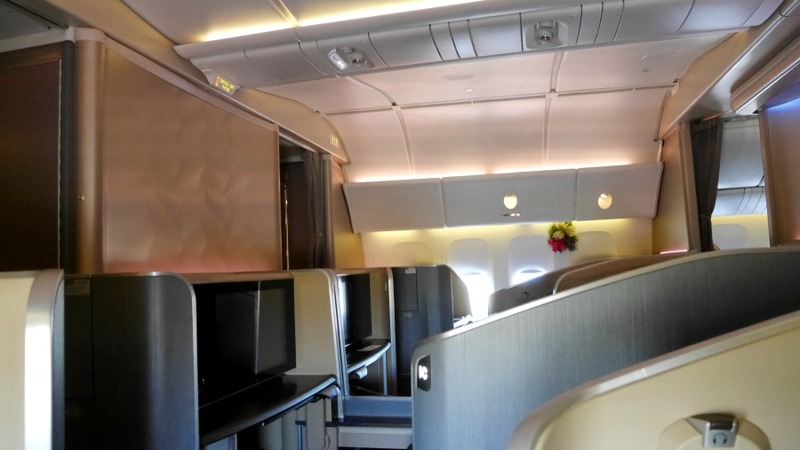 The flight from Sydney to Singapore was in First Class rather than Suites as the Suites product isn't on the 777-300ER. There were only four seats in the cabin though, and it was the newest First Class product. It was beautiful. I adored the wide leather seats and the digital control panel for the television. The screen of the TV was also HUGE. I chose seat 1A for obvious reasons...although I have actually sat in 1A before as 1A is a business class seat on Virgin Australia due to the lack of FC. From the moment I stepped on to the plane the staff were wonderful. I've never had issues with Singapore Airline's staff even when flying economy, they're always the loveliest air crew, but this was just insane. 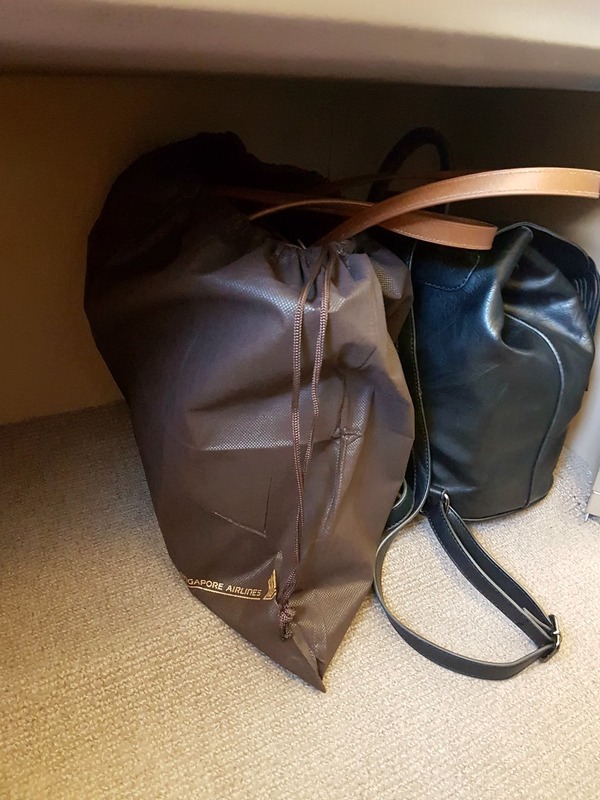 Before I could even put my handbag down, the stewardess took it from me and put it in a dust bag to protect it (it wasn't even my Anya Hindmarch, just my Ralph Lauren tote). 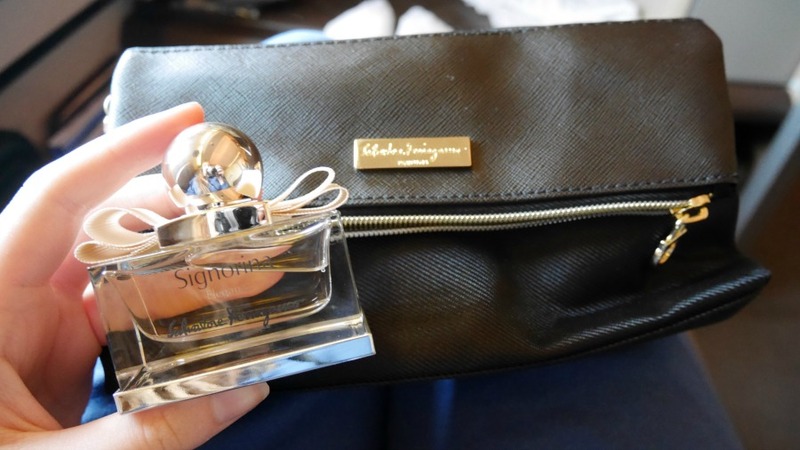 As we were sat on the runway waiting to take off, I was then presented with a glass of champagne and a Salvatore Ferragamo toiletry bag which contained a full 30ml size of their Signorina Eau de Parfum, as well as a body lotion and lip balm/cream. The usual toothbrushes, toothpaste etc were in the bathroom and you could just take those when you wanted. The bathroom also contained women's sanitary pads, cotton buds, cotton pads, razors, and shaving cream. They also provide you with slippers, which come in very handy for going to the bathroom without having to put your shoes back on! 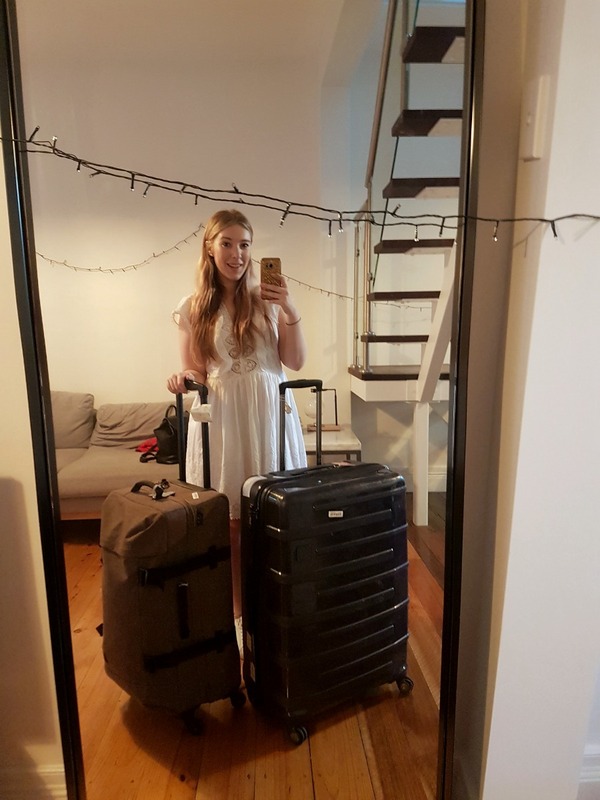 I was then given a pair of Singapore Airline's pyjamas (not attractive at all, but v comfy), and when I'd changed into them and shoved my dress into the footwell, they took my dress away and hung it up somewhere so it didn't get crumpled by my folding it for 8 hours. I settled down and spent the journey watching movies and eating. I decided not to sleep as it was a daytime flight, and wanted to save my sleep for the big 14-hour flight from Singapore to Frankfurt, and then Frankfurt to JFK. The seats are so wide I could comfortably sit cross-legged, and because I didn't want to nap or sleep and just wanted to lounge around, I could even sit like in the below photo very comfortably! 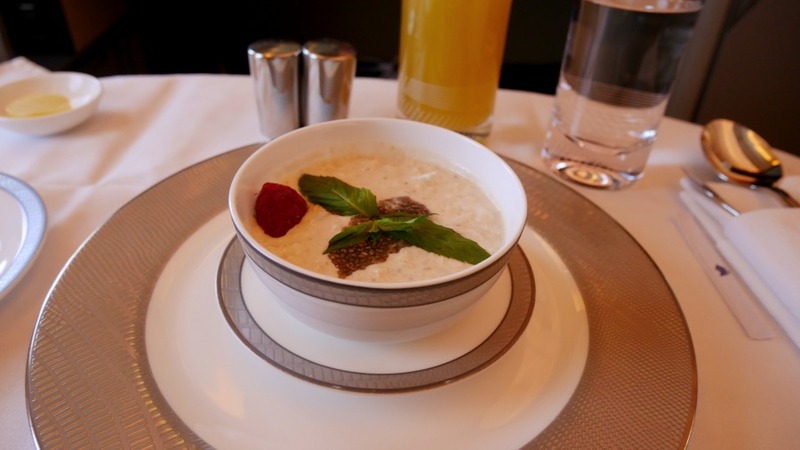 Food-wise we had breakfast and lunch on the flight, with each meal consisting of three courses. 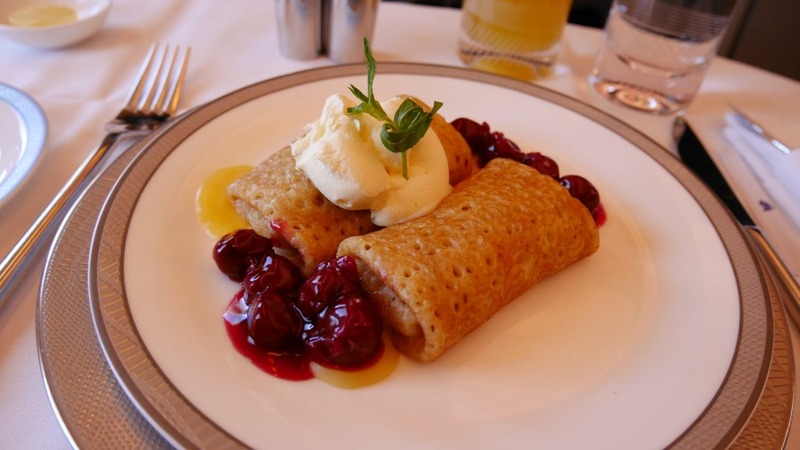 Breakfast began with fresh fruit, before a bircher muesli, and then finally crepes with lemon curd and cherry compote. 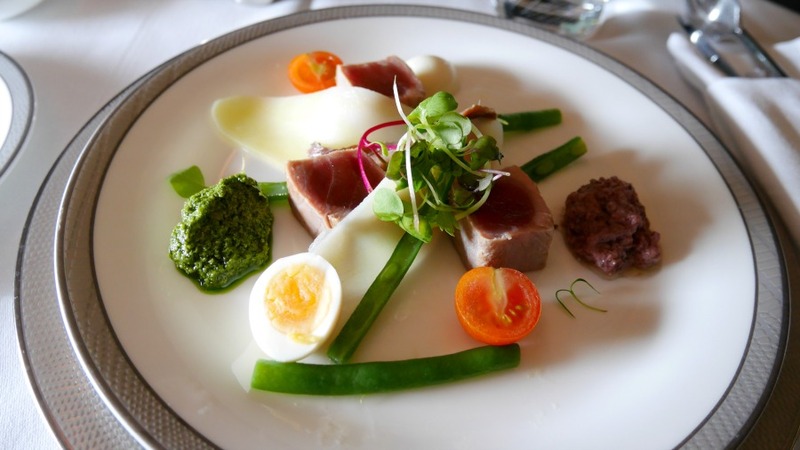 Lunch began with a delicious seared tuna, and then my book the cook arrived; Lobster Thermidor! For dessert we were served a dark chocolate and raspberry dessert. 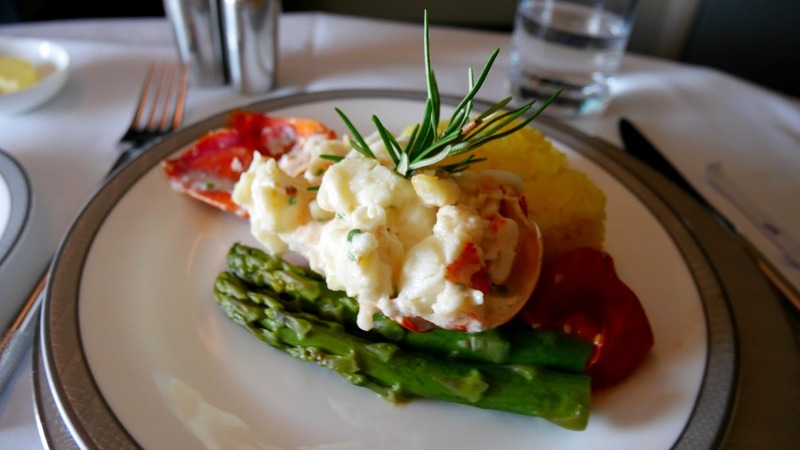 All of the food was excellent, but I actually think the Lobster Thermidor was better on the Sydney - Singapore flight than it was later on the Frankfurt - JFK. 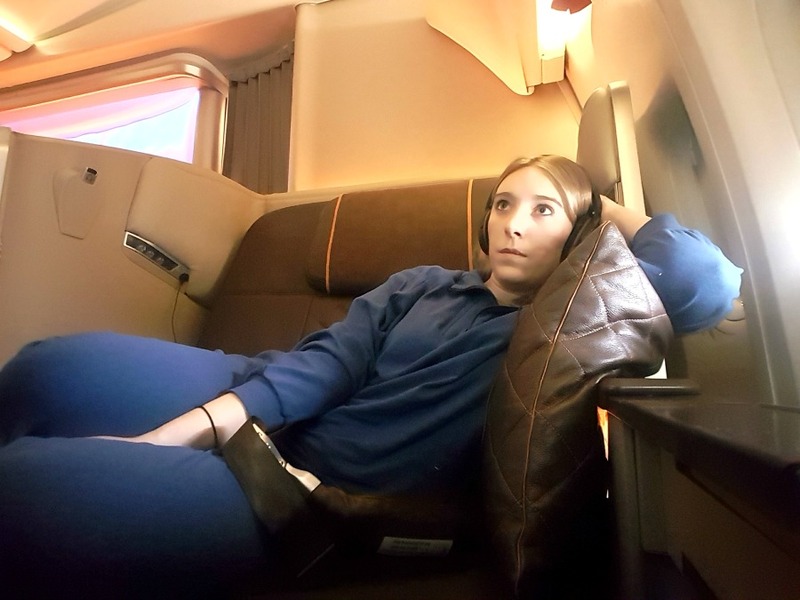 When it was almost time to land, I shifted in my seat ready to get up and ask the air stewardess for my dress, and as soon as I stood up there she was standing in-front of me with my dress on a hanger "Miss Lux would you like to change?" I was gobsmacked! The thing is it kept happening throughout the flight, I would think about asking for a drink, get ready to ask for one, and then all of a sudden one would appear out of nowhere! It was a pretty great start, and I wasn't even half way through! I still had my actual Suites Class flight (complete with double bed in the sky) to go!! When I got off the plane at Singapore's Changi airport I left the airport to go out and explore Singapore. I've visited Singapore a few times before and was last there in April, so I just went to chill out at the Tanglin Club which I'm a reciprocal member of, and then I spent a few hours at Gardens by the Bay as I didn't have a chance to see the two domes back in April. It was pouring with rain the whole day, so I headed back to the airport earlier than planned and ended up spending about 3 hours in The Private Room. 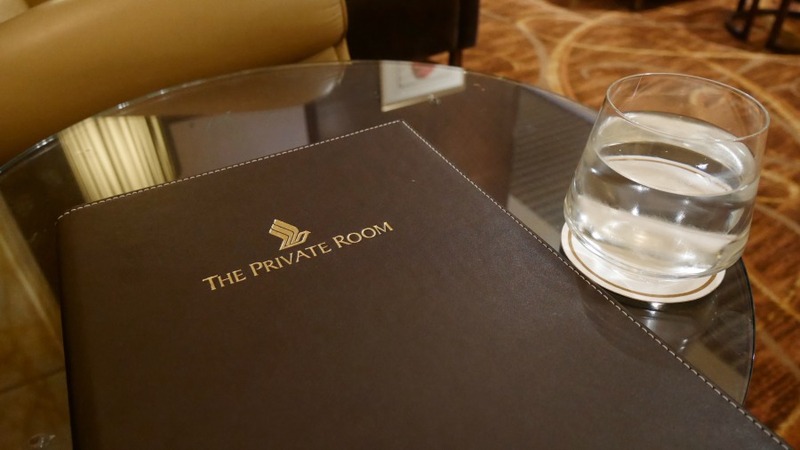 The Private Room is undoubtedly one of the most exclusive airport lounges in the world. 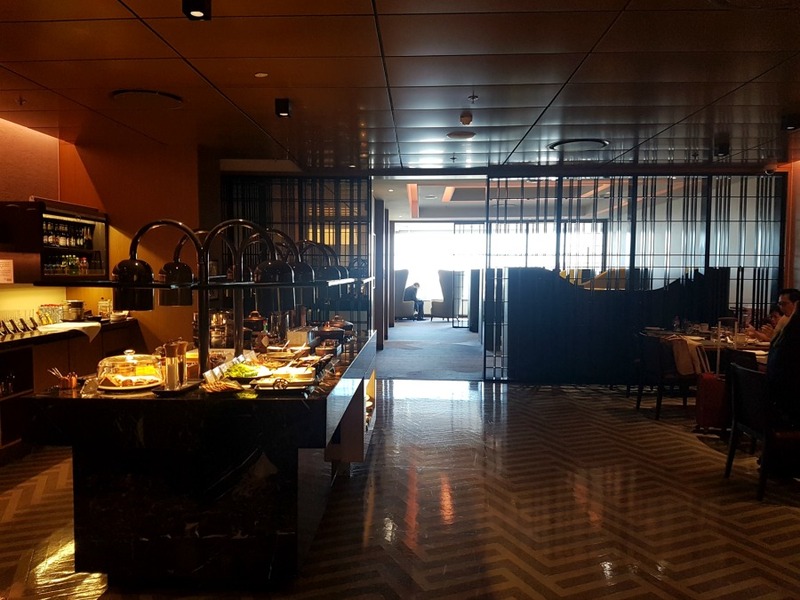 It's only open to Singapore Airline's passengers flying in SA's own First Class cabin, so Star Alliance First Class partner passengers aren't allowed to use it and instead have to use a different lounge. When I arrived I was surprised to find it busy and I actually struggled to find a seat. After over 18 hours travel time so far, I decided to use the shower and freshen up, and was pleasantly surprised to hear the lady tell me I was free to spend as much time as I liked in the shower facilities. 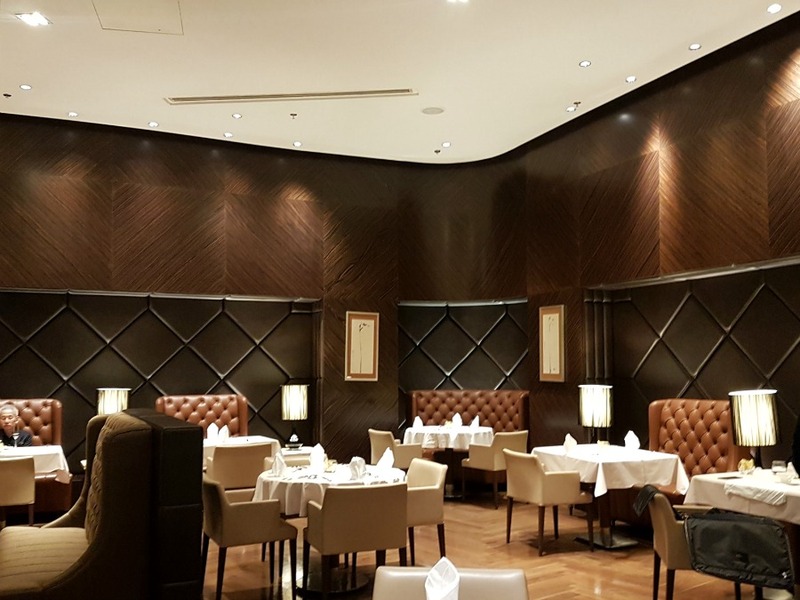 This made a very nice change to Emirates, who have a strict time-allotted system due to how busy their lounge gets (in Business Class that is - I haven't experience Emirates' First Class...yet ;)). 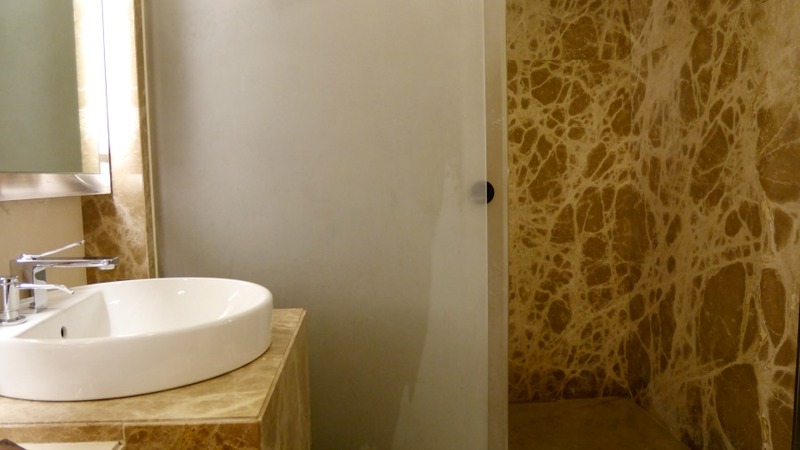 The shower was great; modern and luxurious. However I'm always disappointed that airline lounges never have individual conditioner bottles, as my hair is very thick and fine and therefore prone to fizz unless suitably conditioned! After showering and getting freshened up I headed back to the seating area and chose to sit in the lounge area rather than the restaurant. I was really impressed with the attention to detail by the staff - all of them addressed be formally by my name (Miss Lux) at all times. How they remember everyone's names I do not know! 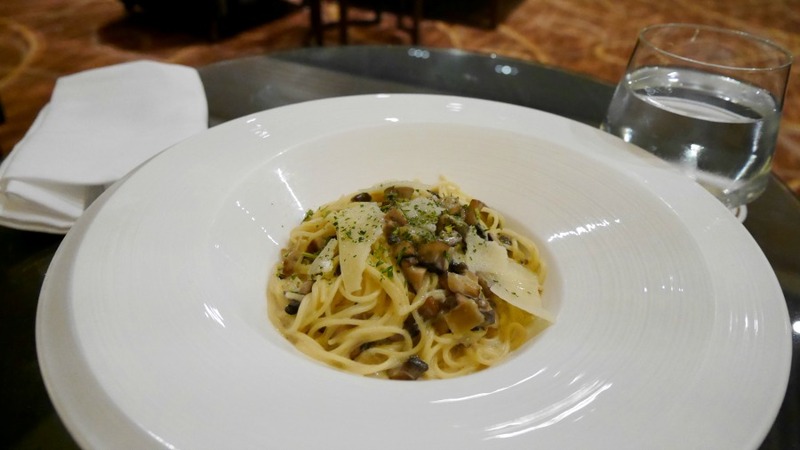 By this point I was getting a little hungry and still had two hours before my flight, so I requested a bowl of the tagliatelle with mushrooms and truffle. They asked if I would like it in the restaurant, but I declined and said where I was, was fine. It was probably the best pasta dish I have ever had in my life (and I've eaten a lot of pasta, including in Italy). It was the perfect portion size too, not being too small nor too big. After eating I had a nap in the chair, with the gentleman promising to wake me up so I didn't miss my flight. They also offered me a blanket, but I declined and said thank you but I was ok (it was surprisingly warm in the lounge). Luckily I woke up in good time to go for my flight, and was approached by a lady who asked if I would mind switching seats with a couple. Apparently this couple were supposed to be sat in-front of me, but wanted to sit where I was as that's their favourite seat that they always sit in or something (LOL). I said that was fine - I was travelling alone and honestly wasn't fussed about where I sat. All in all The Private Room was less impressive than everyone makes out. It was very nice, but at the end of the day it's just like any other lounge, just a bit quieter at certain times. 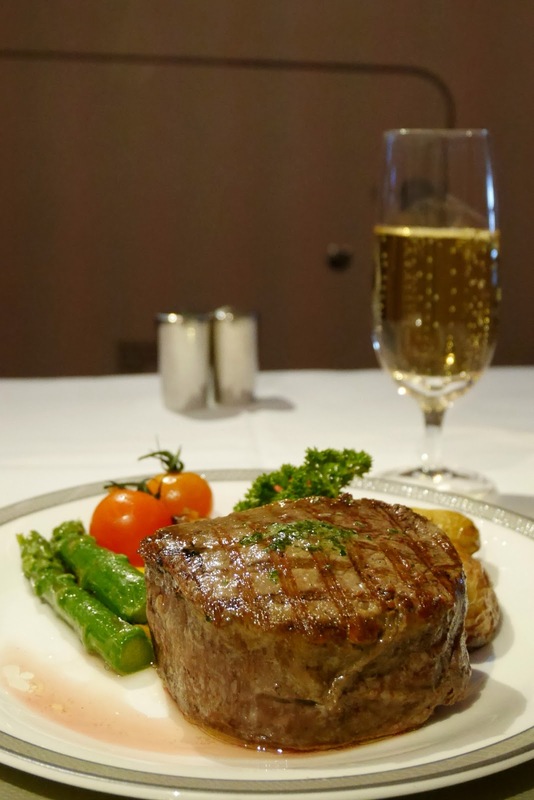 The service though was far better than I've ever experienced in any Business Class lounge, and the food was without a doubt the best food I've ever had in a lounge. And finally, after almost 20 hours of travelling the First Class style, it was time for Suites. If you've managed to get this far - thank you, and well done!! Haha. Sorry this is a super long post, I figured it would be best to put together a comprehensive guide and experience review, as I always see shorter ones of the individual flight legs and I was desperate for a full review all in one post when I was booking my flight. 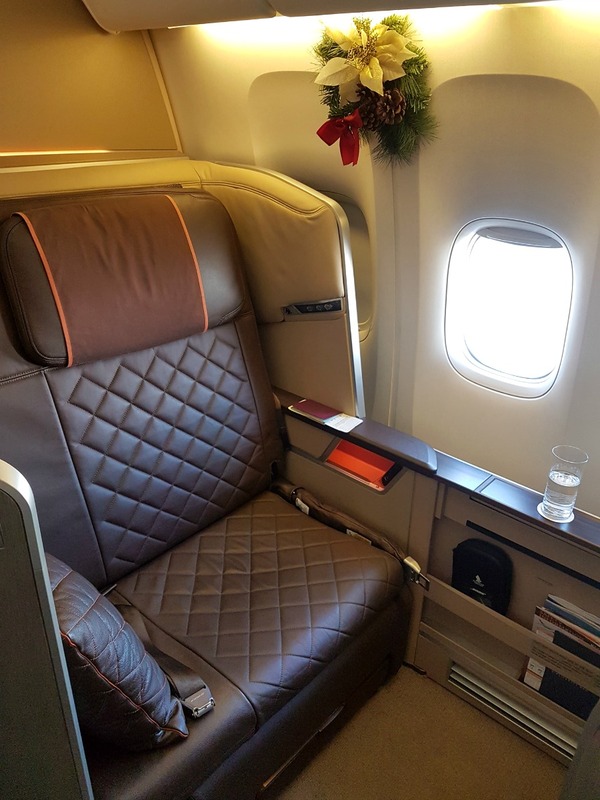 When I first got onto my Singapore to Frankfurt flight I was honestly a bit surprised about how different it was to the First Class on the 777. It felt older than the new First on the 777, but looked much more like a yacht, and you could clearly see the aim of the designer, Jean-Jacques Coste, the French luxury yacht designer. The suites are so clever with how they are so compact but feel so spacious, and they have everything you could need. 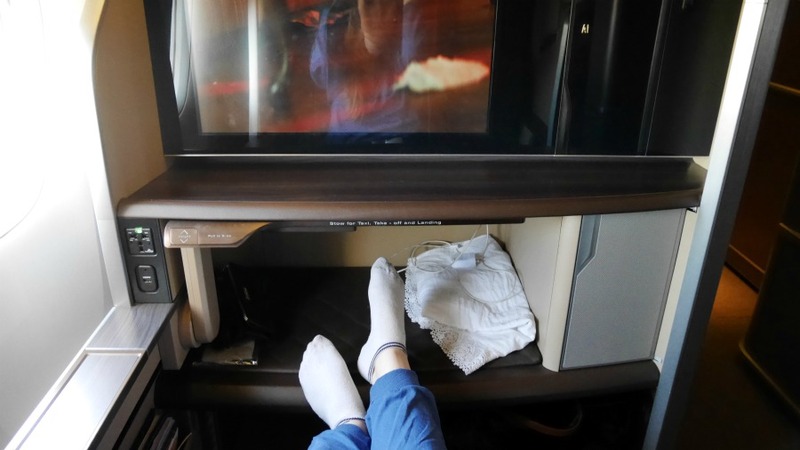 There was less space to put your things than on the 777 First Class though, as Suites doesn't have the cubby hole for shoes underneath the television screen. I was offered champagne again, and decided this time to go for the Krug instead of Dom Perignon. I actually much preferred the Krug. When I compared both champagnes before and after take-off, the Krug tasted much better at the higher altitude. The Dom P seemed to go a bit tasteless and overly fizzy when we were higher up, while the Krug retained its flavour. Anywho, I was presented with another pair of Pyjamas and Ferragamo amenity kit, so I now have two pairs of Singapore Airline's Pyjamas and two 30ml bottles of Ferragamo perfume! Once again I changed into the pyjamas, and the staff hung my clothing up in a small wardrobe in my suite. 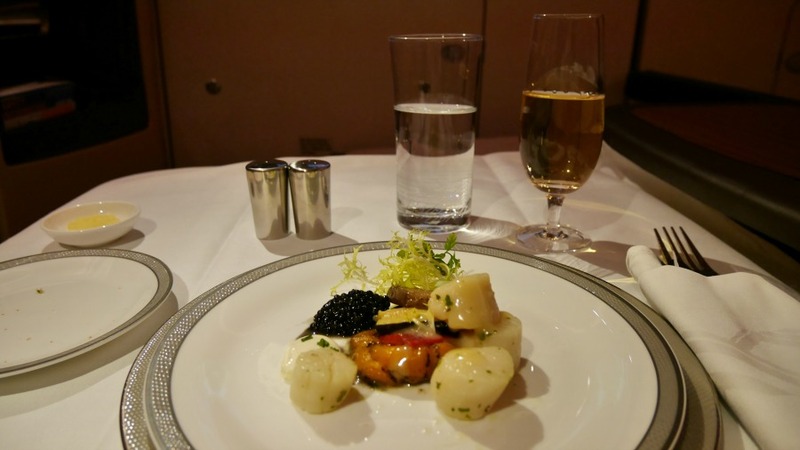 We kicked off the flight with dinner, which involved caviar and scallops for starter. The scallops were very overcooked, but I feel like they're the sort of thing that is probably impossible to get right on an airplane. 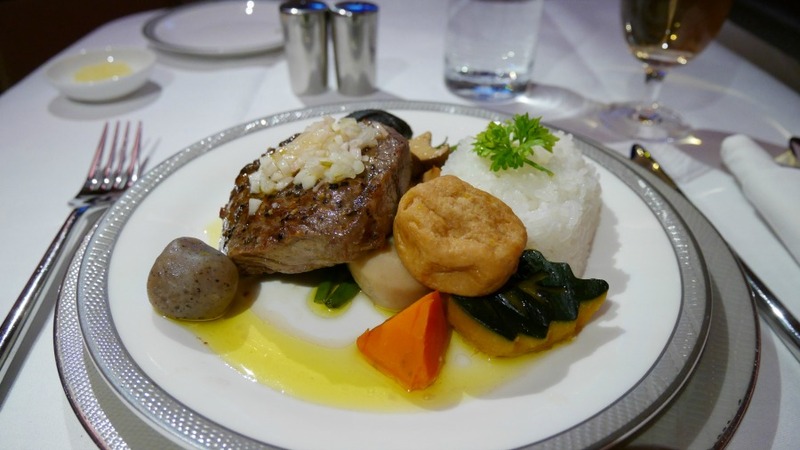 For mains I had my Waygu steak that I'd ordered through the Book The Cook option. The meat itself was good but the vegetables and rice accompanying it was a bit weird, and it was probably my least favourite meal of the entire experience along with the scallops. 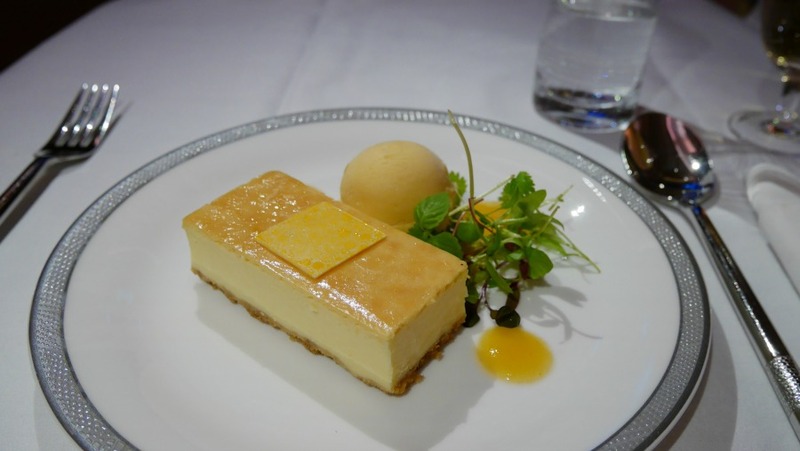 Thankfully the dessert redeemed the started and main, with a delicious maple cheesecake! After dinner the stewardess set up the bed for me, and luckily as I was sat in the middle seat by myself, I had a double bed all to myself! Usually if you were sat next to a stranger they would put up the middle privacy partition and convert the beds into two singles, but as I was alone they put the double up for me. Unlike Business Class and other First Class seats where they flatten the seat and then put a thin mattress and duvet on top, the Suites bed is actually a proper bed that folds-down from the back wall of the suite. I was massively impressed and took great delight in starfishing across the double bed and taking numerous selfies! 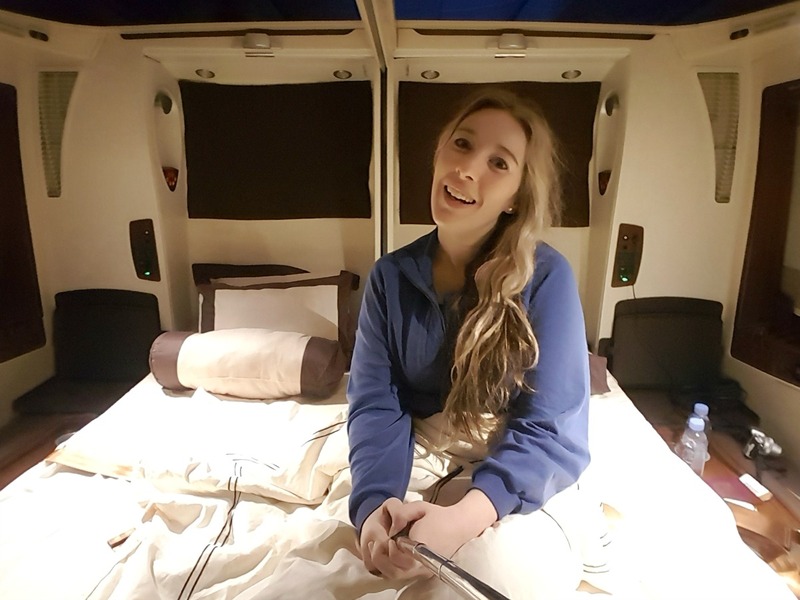 The other passengers all seemed very chilled and cool about the experience, and then there was me with my selfie stick taking selfies in my suite, hahaha. I have no shame. Srsly though, this is not a regular thing for me and it took me over a year of earning points to pay for it, so I was making the most of it!! 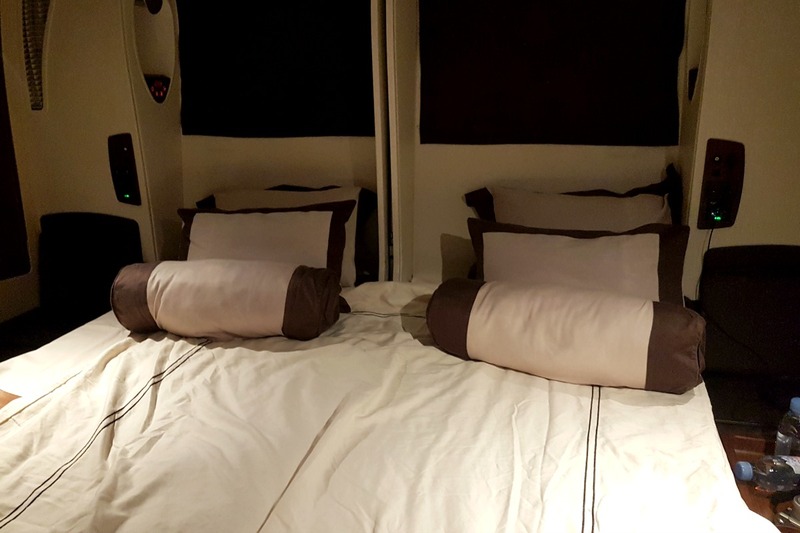 The suite itself was insanely comfortable, the duvet was the perfect thickness for the cabin temperature, and the pillows were nice and soft and very plump. The height of the suite means the cabin staff can't see over the top, however the blinds are slightly see-through at the tops and bottom parts so they can see in as they walk past and make sure no one is trying to join the mile high club ;) With the doors closed it feels very private, which actually felt really isolating, and with their new suites even more private, I feel like they might be a bit *too* private as you could literally go the entire flight without seeing anyone but the cabin crew. Anyway, I had the best sleep ever and only woke up when the cabin crew woke me up for breakfast as we were coming in to land at Frankfurt airport! Breakfast consisted of a fresh fruit platter, and then waffles with strawberry compote which I had ordered through Book The Cook. When it was time to disembark I was given a carrier bag for my pyjamas etc as my bags were now overflowing with the freebies I'd been given over the past 30+ hours! 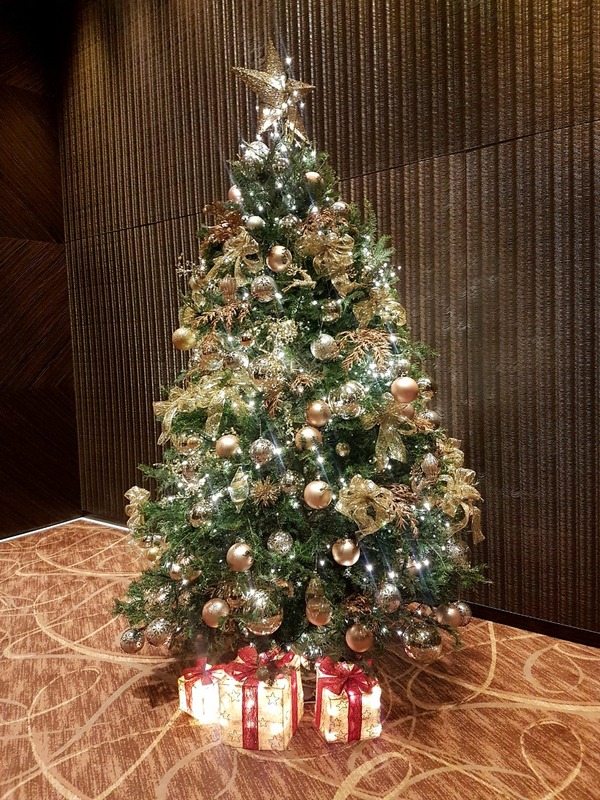 When we disembarked our Singapore to Frankfurt flight we were met straight off the plane by a Frankfurt airport rep, who escorted all of those travelling on to NYC in First Class/Suites to the Lufthansa Senator Lounge. I have no idea what terminal we were in (sorry! ), but I was really impressed with how well organised everything was. I found the security staff at Frankfurt very rude, but the staff escorting us were lovely. I even found out we've been saying my surname wrong all these years haha. My surname is Latin but my family are originally Prussian/German, and that's where the surname comes from. The lovely German man escorting me to my third flight pronounced it 'Loox' instead of 'L-U-X' how we say it, and apparently that's how Germans pronounce it. So we've clearly just anglicised it over the past 100 years! Anyway, I got embarrassingly excited in the Lufthansa Senator Lounge at the smell of Mulled Wine and the sight of Stollen. We don't really have Mulled Wine and Stollen in Australia, so I had a bit of a minor freak out while the business travellers all looked at me like I was crazy, before proceeding to my table with not one but TWO glasses of mulled wine and a plate full of Stollen and Gingerbread biscuits. The lounge is pretty basic to be honest and doesn't feel as luxurious as Emirates or Singapore Airlines. It reminded me a bit of the Thai Airways one with just how 'meh' it is. Although there is a spa and a dark room with lounging chairs for if you want a nap, which was nice! Our final flight was on the exact same plane we'd got off of an hour earlier, but with a different crew. I think this was actually my favourite crew of the journey, they were just really open and friendly and they also allowed me to have my middle cabin for sleeping, and the empty window-suite next to mine as my 'daytime/TV-watching' suite. What I loved about the window seat was that it had THREE windows! It was good testing both out, I think if you're on a red-eye flight definitely try and get a middle seat for the potential of having a double bed, but if you're on a day flight make sure you save yourself a window seat! It felt VERY weird basically having two suites on an airplane, but it was also without a doubt the coolest plane journey of my life. 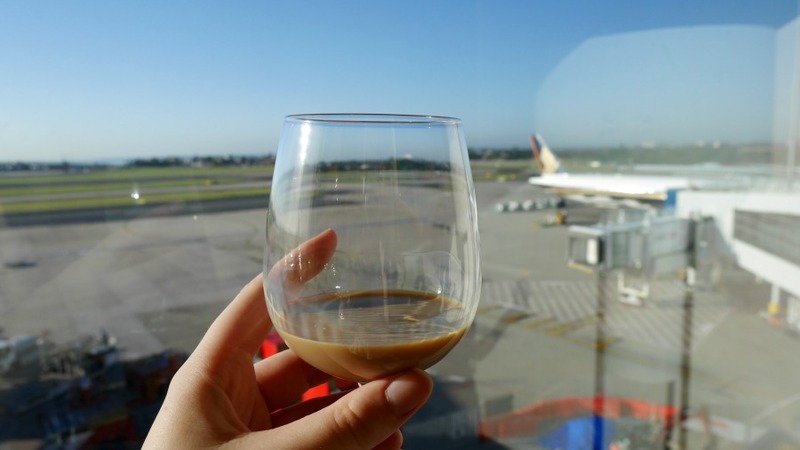 I'm only 26, and I already don't know how any other plane journey could ever top this one!! Probably the biggest first world problem ever? Once again I was offered an amenity kit and pyjamas, but told the cabin crew I was OK and would use the ones I'd been given on the last flight. I'm not a big fan of wastage and although I'm not an obsessive eco-warrior, I do refrain from buying a lot of fast fashion items, using a lot of plastic, and taking things I don't necessarily need. The Pyjamas are all wrapped in plastic, and with two pairs already I frankly just didn't need a third. There's enough wastage on planes as it is, and I always try and reduce mine as much as possible (maybe I'll write a post soon on how to reduce your wastage when flying?). 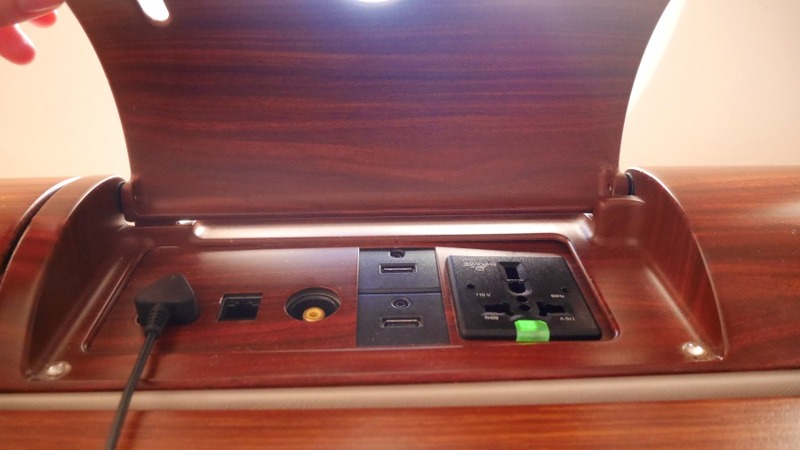 I was pretty impressed with how many power points there were in each suite (I think there were 2 or 3, plus two USB points), and all of them worked which was nice. I find so many times business class seats have a power point, but then they don't actually work properly! They were all hidden away as well to make the suite look more sleek. I didn't have much sleep as I'd slept most of the way on the previous flight, so just got a single bed made up so I could have a nap for a couple of hours. I also didn't bother changing into my PJs...this was down to pure laziness tbh. What I loved most about the beds was the quality and plushness of the pillows, I practically surrounded myself in them (I had four, plus two of those cylindrical ones) and it felt as though I were laying on a cloud. For my final First Class meal I had another steak (again ordered through Book The Cook), and then some sort of strange dessert that I can't for the life of me remember what it was. It was very tasty though! Unfortunately I was so full by this point I thought I might burst. 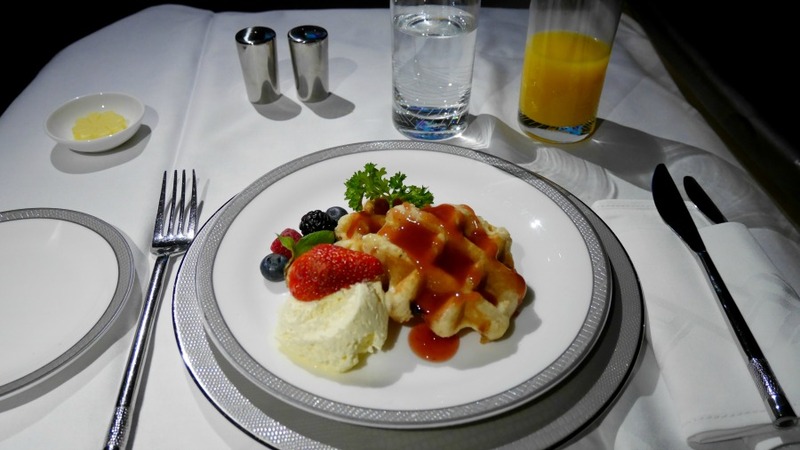 I'd eaten far more food over the 40 hour journey than I ever would usually in that time, and was so uncomfortably full that I didn't eat for over 24 hours after the plane landed! The whole experience was so surreal. I was definitely the odd one out as all the other passengers seemed so unphased by the whole thing, while I was there taking selfies and using a selfie stick to get the double bed in haha! But whatevs, like I said before, it was a once in a lifetime thing and I wanted to document as much of it as possible!! 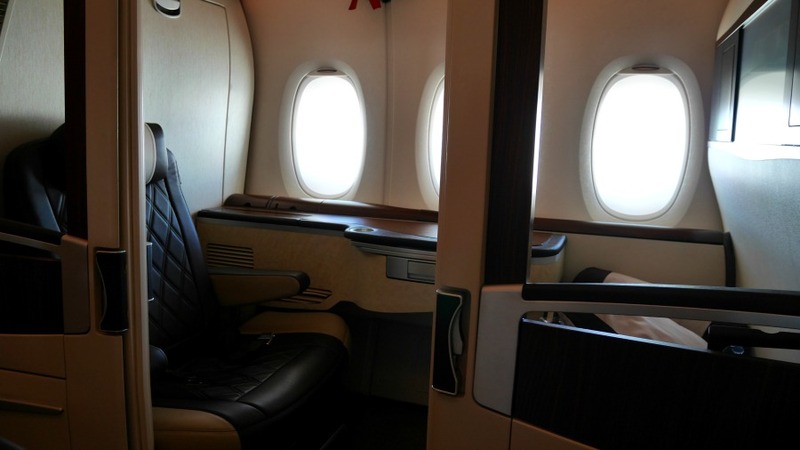 Also I much prefer the Singapore Airline's design to the Emirates one, I just find it much sleeker and classier. 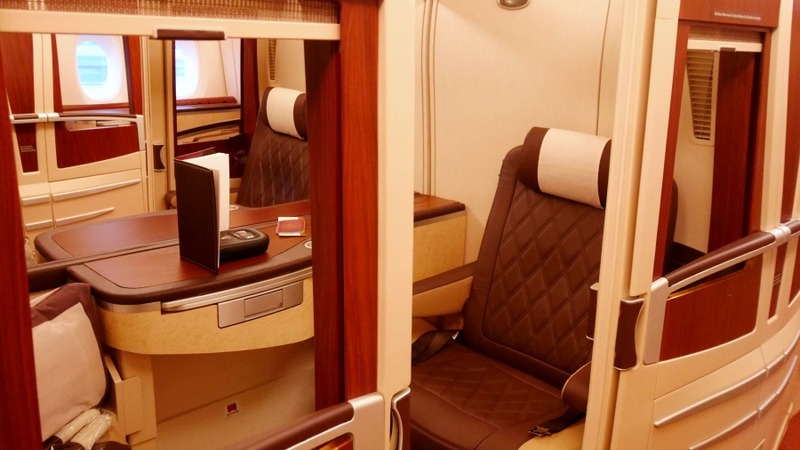 That awful wood effect on Emirates is the tackiest design I've ever seen. If you're paying for it, then no, I don't think it is. Obviously it depends on your financial situation, but if you can afford £20,000 for a return airfare in Singapore Airlines First Class Suites, and not feel as though that money would be better served going to charity or paying for something else...then well, that's your decision. 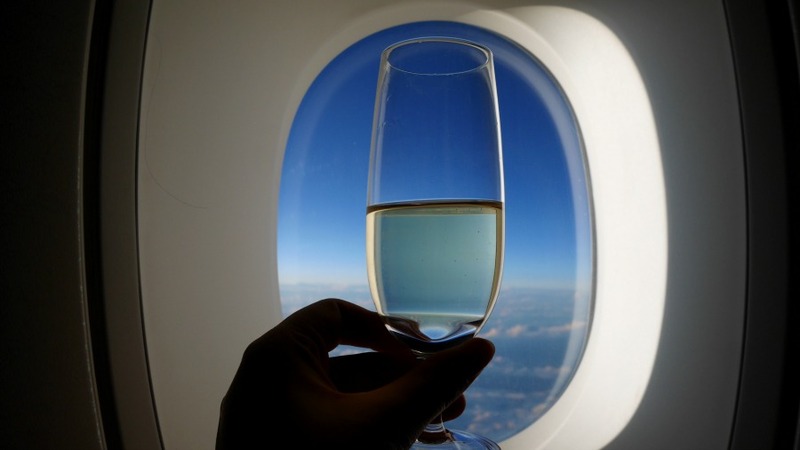 If you're using airmiles, then hell yes is it worth it! The problem is when you compare it to Business Class, there just isn't a big enough difference to justify over double the price. 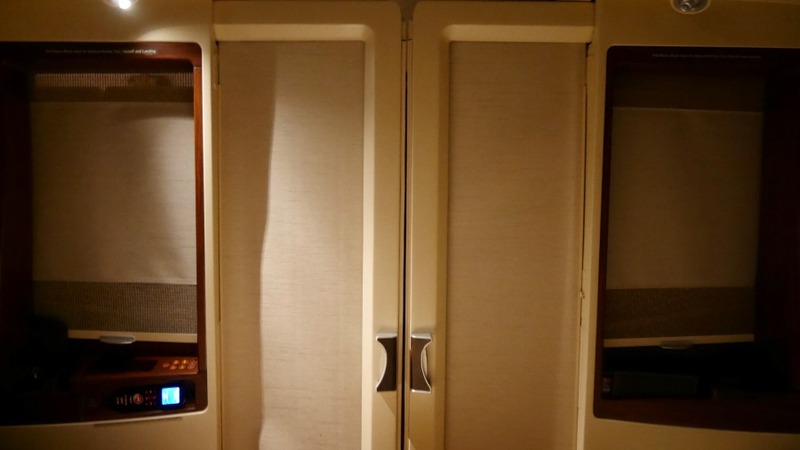 The only huge differences I could tell were the exclusivity of the smaller cabins and smaller lounges, the insanely high level of service, and the fact you have the privacy of a suite, rather than an open cabin. You then also have the obvious things like different amenity kits etc. The End - What Next? I live by the rule that you never buy anything you don't need just to earn points, and am quite strict with myself about that, so I'm not sure if I'll earn enough to do both Singapore and Emirates. I might just have to put all my AMEX points in Singapore and do Business Perth - London. I'm going to do a seperate post soon about how I earned so many miles, I'm quite savvy about it and think it might help some of you lot! Also I'm going to be writing a more condensed version of this for Aglaia soon, who I've written for a few times in the past, so keep an eye out for that as well if you just skimmed this version due to the length! If you made it this far, THANK YOU for reading almost 4,000 words, haha! 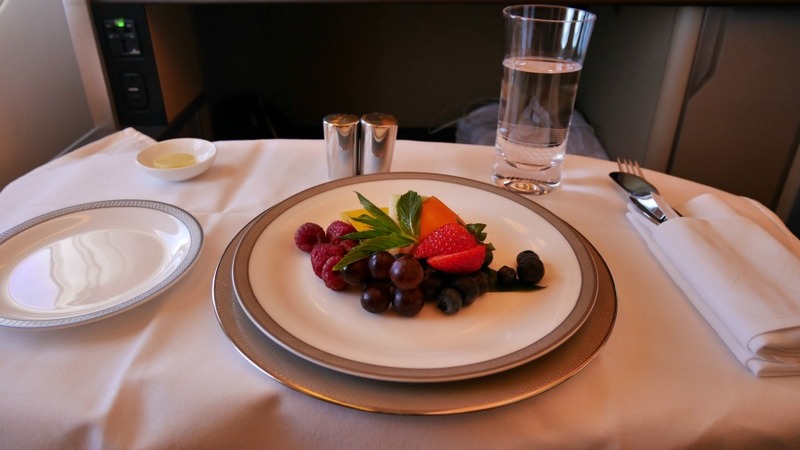 And I really hope you enjoyed it, and that it gave you an insight into the First Class Suites experience on Singapore Airlines flying from Sydney to New York via Singapore and Frankfurt. If you have any questions please let me know! Watch the vlog and subscribe to my Youtube channel! I'm still here at the end, really loved following the entire experience through. 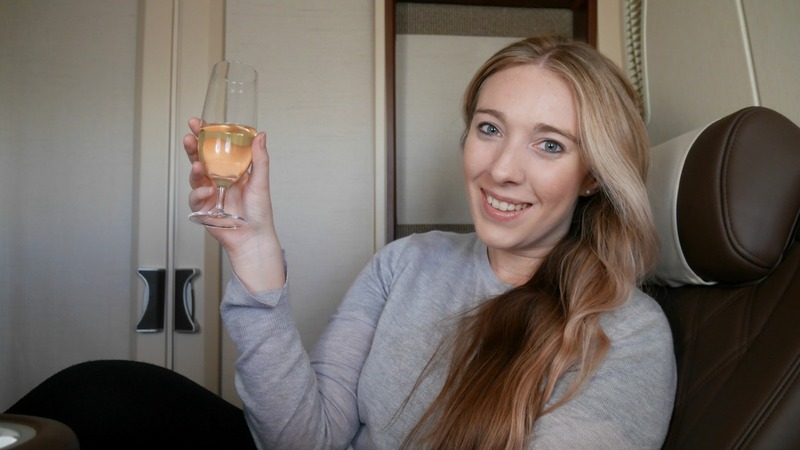 I usually use air miles for business class as the difference to first is hard to justify but occasionally if there's a special offer on I've done first, never in airlines with the suites though! Amazing! This is absolutely on my bucket list! What a fantastic experience! I loved looking at your insta stries when you were flying, reading about it makes it sound even more amazing! 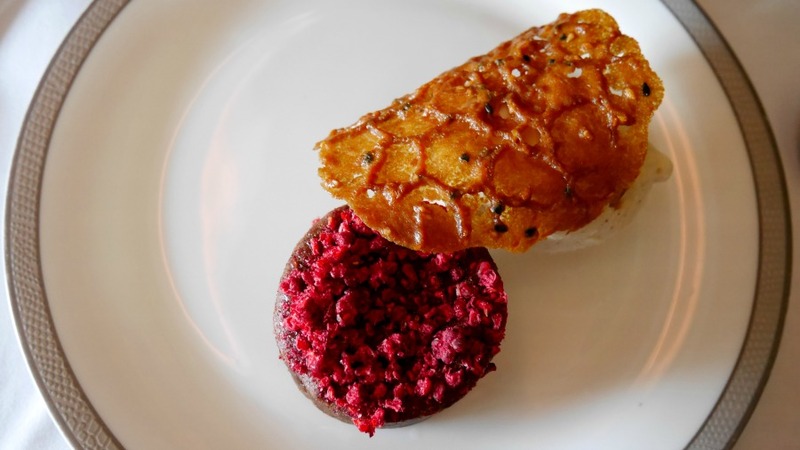 Great post, I had a ton of fun reading this and living vicariously through you! I hope you had a good time while in NYC!